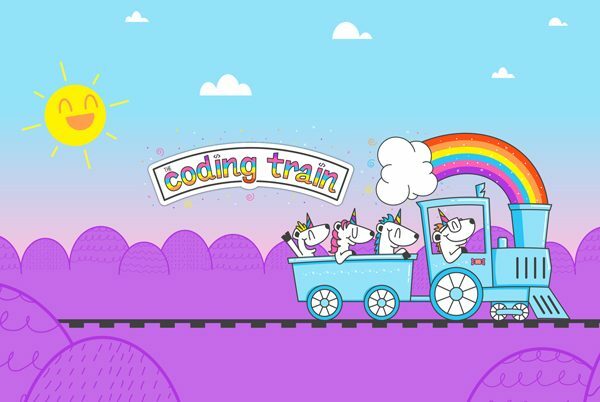 The Coding Train is a Youtube class that teaches “creative coding”. 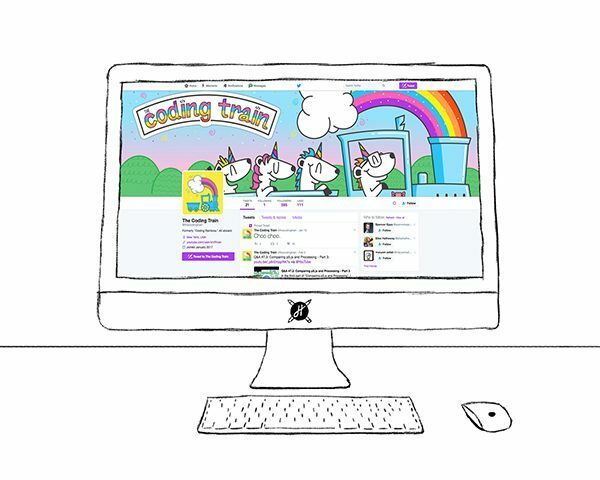 Each week, Daniel publishes new videos about various concepts and interacts with his community. Recently he had to change the name of his class, so he was in need of some new branding. 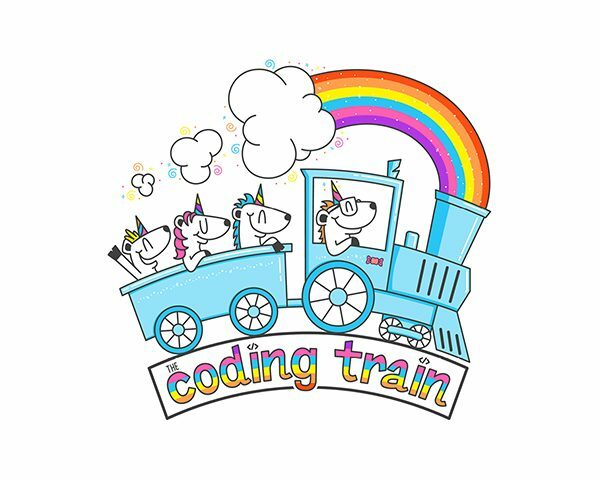 He contacted me after seeing some of my fun t-shirt designs on Cotton Bureau. 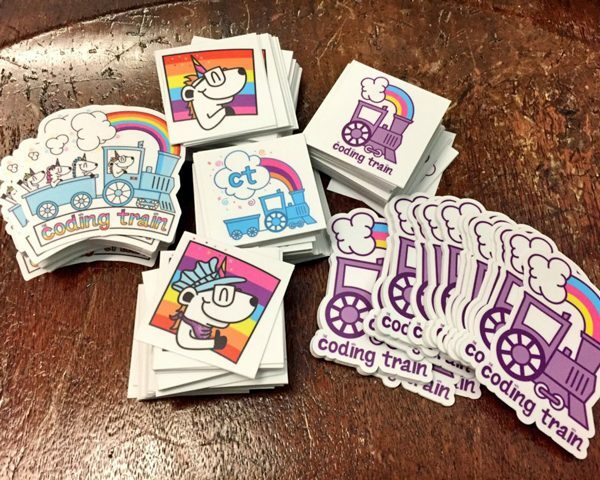 What he wanted was a playful and fun logo and illustration featuring unicorns, a train and a rainbow instead of steam. So naturally, this was a great fit! In the end, I created an illustration, various logo marks, social media graphics, desktop wallpapers, t-shirt graphics and stickers. A whole treasure chest of magical fun!